Now we’re in to March, spring is apparently on its way. Whilst, at Avant PR HQ, we’re not quite ready to part with our jumpers, jeans and boots (we would love to, but Manchester weather just doesn’t permit it), we are still eyeing up our impending spring purchases. Of all this year’s spring/summer trends, we’ve rounded up three that we’ll definitely be keeping an eye out for while shopping for the new season. Gingham is going to be massive. Not the red and white combination of traditional picnic cloths, but more black/navy and white. Fashion magazines can’t get enough of it and retailers are filling their rails with it; Topshop.com even has a full page dedicated to the check and suggests accompanying garments, too. The easiest way to wear the print will be one of a number of the high street’s airy blouses, paired with simple trousers or jeans. A gingham print dress still feels like a bit much for me personally, but I did recently try on this Topshop skirt that I might be returning to buy once (if!) we get the weather. At the end of last year, Pantone named a zesty shade of green, “Greenery” as it’s colour of the year, I think they are wrong and it should be pink! Now, I am a little bit girly myself so the colour doesn’t frighten me too much, but for a lot of us monochrome lovers, it feels like a big step. Varying shades were seen on the catwalks of Céline, Givenchy and Chanel and the high street was paying attention. 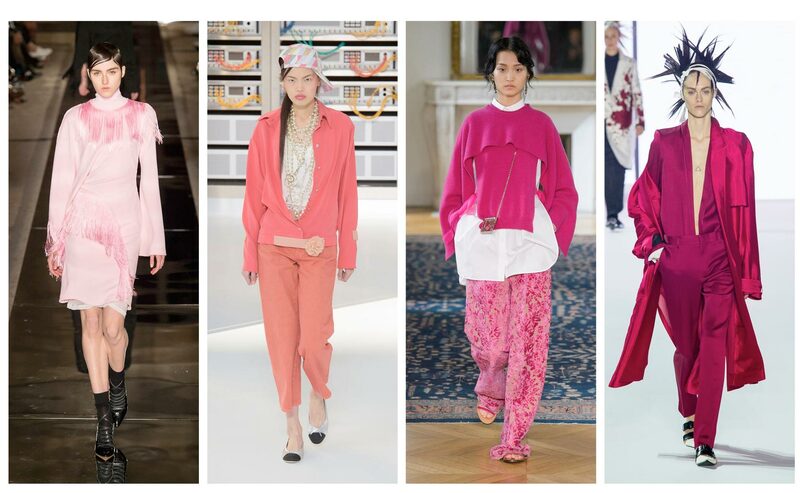 I particularly love the combo of pink with red, which sounds so wrong but is just so right – for proof, see Valentino’s recent PFW show. I’m actually wearing my new pink trousers whilst writing this – I dare you to try it, I’m sure you’ll love it. 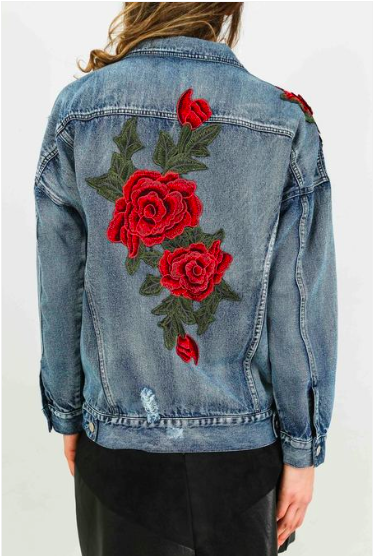 All embroidered everything. This trend is almost as big as gingham, and will probably feature on every item of clothing you can imagine, from chokers to trainers. Avant client Dressed In Lucy has some key pieces that nail the trend, including oversized denim jackets with statement embroidery that we’ll be throwing on over dresses and tees come spring.